Between 2015 and 2020, the number of people aged over 65 in the UK is expected to grow by 1.1 million. The costs of care and our modest state pension raise pressing issues for our country. The only way we can resolve these problems is through collective solutions which look to the whole of society to provide for those most in need. The Tory response is predictable: slashing back social care and leaving individuals to fend for themselves. George Osbourne’s short-sighted offering to pensioners, which allowed them to have their pension cash early, has left even pensioners with good savings vulnerable to manipulative, poor advice. Close family friends of mine have been manipulated out of pensions and life savings. I’ll fight for better regulation to stop shady operators taking advantage of working people, whose pensions are often the first time they’ve had to make massive saving and investment decisions. I will not stand by while people are swindled out of their money for quarter a percentage point of GDP growth. Worryingly, with the Tories stripping the NHS and social care service of cash, we are heading for a situation where people pass the finishing line at work only to collapse in an unhappy heap, rather than reap the rewards of hard work and good financial planning. We need to localise care, and give local government the guaranteed funds to do it. The state must play its part in keeping people fit not just for their working lives, but for their later years too. I will always fight for a well-funded, cradle to grave health and social care service for all, regardless of their ability to pay and free at the point of use. Further, if people are to be prepared for retirement, they also need decent pay and conditions when they are in work. So many jobs now are in the gig economy, where workers are not even officially employed, never mind entitled to pensions and holidays. How is a twenty-something expected to plan for their retirement when they can barely plan how they will pay next month’s rent? Critically, workers need to be encouraged to save, not just by bosses, but by their peers. Older workers are often overlooked and deskilled, but mixed age workplaces are the best way to show younger workers the concerns of getting older- not from their families but from their equals. Time and again, efforts are made to pit the young against the old, as if the old were never young and the young will never grow old. Andy Burnham’s manifesto launch this week had some exciting ideas about how society as a whole can takecare of the elderly, and it is a system for which the individualistic neo-liberal Tory model simply has no adequate counterpart. Only a collectivist, co-operating model can work to solve the problems an ageing society presents. I will be a powerful and unequivocal advocate for unions protecting their workers’ rights and fighting for decent pensions. We must enable people to plan properly for retirement by making sure we protect each other when we are in work. We must collectively fund a health service that prevents poor health. We must collectively protect people from malicious financial services. We need a Labour model of long term planning and solidarity. That’s what I’ll fight for. Karl’s a working class graduate, burndened with debt. He sees working class pupils every day where he teaches entering a sector increasingly commercialised, and rarely in their interests. If he was Labour MP for Gorton, he’d a friend to and voice for students & higher education unions to fix our unfair system. As a graduate, I have student debt of over £36,000. I have accrued that debt by studying languages, doing a teacher training course and becoming a teacher in a state school. My studies have served me well, I have a decent job and I live comfortably. They have also served the country well, producing a public servant contributing to our society. Similarly with doctors, lawyers, artists, designers, scientists and the myriad other highly trained people who enter the workforce each year from our great universities. There are clear injustices in the funding system for universities, though. Injustices I would fight to correct if I was the MP for Gorton. It is not right that the highest earning graduates pay off their student debts faster than everyone else. Because graduates pay 9% on everything about £21,000 until their loan is paid off, those that earn the most immediately after graduation accrue the least interest. Those who go into, say, banking pay less towards their studies than a doctor who pays of their loan later. Some students will never pay off their debts because they will never earn enough, effectively paying a 9% graduate tax for the 25 years after they leave university. It is dishonest to tell people we do not agree with the idea of a graduate tax, and then effectively impose one on those with the least ability to pay it. It is also unjust that only students pay for the university education they receive. Does a doctor or teacher’s education not benefit society more generally? Does the cultural output of a fashion designer not benefit the UK’s soft power overseas? Do the medical discoveries of a scientist not benefit all in a country? Does an engineer’s road or tail project not increase the profits of a business owner? If the country wants a highly skilled economy, we as a nation must pay for it through general taxation. Those at the bottom of the income scale, whether graduates or not, will not pay for the education they did or did not receive. Those at the top will. Everyone pays for health care, state pensions and secondary education – services that benefit us all – through general taxation. Why are our universities any different? University funding is a fudge, because nobody was bold enough to call for proper money for a good university system. We do need to pay more to fund our universities properly. But ordinary graduates could all pay less if those on higher incomes continue to pay long after they have paid of their debt. After all, they do not suddenly cease to benefit from their education once the debt has been paid off. Similarly, the business owner who did not go to university but makes good money has benefitted from the medical care and infrastructure in place due to others’ university education. He or she should also pay towards that education. I will be a voice for students in Gorton, because I know how it feels to have an extra 9% added to the tax rate I am paying. I also know it will be unjust that, if I become an MP, I will pay off my debts more quickly than someone on a lower income. I know that the whole country benefits from a skilled, educated work force, so the country’s tax system should raise the money to pay for it. Five years ago, after working for two years with children in care, I began my career in teaching. My sister was already a teacher in Blackburn. I had seen the satisfaction she got from her job and I wanted the same. I began teaching when Michael Gove was education secretary. Since I began, there has been a huge number of teachers leaving the profession. Any teacher will tell you that education has gone through more change in the last few years than anyone can remember. The upheaval has been bad for the profession and stressful for children learning in a confusing period of change. Some changes are welcome. Assessment has become more rigorous, for example. However, the benefits are nowhere near good enough compensation for the failures in education policy we have seen. Teachers are no longer guaranteed pay progression each year, instead subject to the whims of their managers – some good, some less so – and the changing demands of exam boards. The curriculum has narrowed, so arts subjects are relegated to secondary importance. The Unions have been so ignored in the process that I have been on strike multiple times over five years. I will be a voice for teachers and children if I am elected to Parliament, just as I have been as NUT rep in my school. We must stop the disastrous march towards building more grammar schools. They do nothing for social mobility, creaming off middle class children at eleven. They lead to social segregation of those students that have been coached into them and those that have not. I will be a powerful voice for comprehensive state education. We must demand that the fairer funding formula is actually fair. The Tories are redistributing money away from schools with high needs in inner cities and moving it towards leafy Tory councils. Levenshulme High School will lose £795,000 in real terms between now and 2019 – that is £807 per pupil, or 23 teachers. Other schools suffer similarly – check schoolcuts.org.uk to find out how your child is affected. I will ensure that funding goes to the schools and students that have the greatest need. Though we must pay trainees properly, we must end the ridiculous situation where trainees are given bursaries of up to £25,000 to train, but no money is put into retention of the best experienced teachers. We cannot continue with a situation where we mass-produce inexperienced teachers only to exhaust them after two years through lack of training. The system does not work for new recruits or experienced professionals. I will call for more focus on retaining the best teachers. We must stop moving the goalposts on assessment, so children know where they are and what they need to do to succeed. I will call for an end on any more changes to the examination and assessment system. I will be an ear for teaching unions in Parliament. I will listen to teachers and heads about the situation in their schools and I will fight for children and teachers to get a fair deal from government. When teachers are happy and trusted to have children’s learning at the core of what they do, education improves for all children. The Tories are doing everything in their power to stop that happening. My mum is a nurse and former care assistant for the elderly in the Rossendale valley, just North of Manchester. My great-grandma was a resident in one of the homes for many years. My aunty and my grandma also worked there. I spent a lot of time visiting these places as I was growing up, so I know from personal experience just how far a properly funded adult social care system can go in meeting the needs of vulnerable adults. I also know that adult care, given the respect and attention it deserves, takes pressure off hospital A&E units by preventing medical emergencies. As a councillor, I know the huge pressures councils are facing in the support that they can offer because the Tory government are starving communities of the money they need to look after people who need care. Recently, the Association of Directors of Adult Social Services called for emergency government funding of £1bn for 2017-18 just to avert a crisis in social care. The government last week offered £2bn over three years. This is nowhere near enough to even avert a crisis, never mind create a service that is sustainable. Of course, this crisis also effects the NHS, which is creaking under the pressure of adults with nowhere to be discharged to. Only last week I spoke to a friend whose grandfather was in hospital for three days more than should have been necessary simply because there was no-where for him to go – making him feel unnecessarily guilty about simply being unwell. Yet the Tories refuse to fund the NHS properly, instead preferring to give tax cuts to millionaires. Manchester Council is planning to deliver £12 million of savings over the next three years by integrating services. They could do so much more if that money were not being taken away from them. The National Audit Office last month said that this government has not delivered for patients in its work so far, and that the plan for integrated health and social care by 2020 is ‘at significant risk.’ We simply must do better. That is why I would always fight for an NHS and Adult Social Care system to be well integrated and properly funded. Our priority should be on good care before people end up in A&E, and on funding care for the most vulnerable properly rather than giving handouts to the wealthy. The Labour Party needs to remove the marketisation of NHS services by bringing the entire service back into public hands. When you introduce competition into public service, wages fall and standards slip. The cap on public sector pay cuts should be abolished so that staff feel properly rewarded for the amazing work they do, and so we can retain the doctors, nurses and ancillary staff that the service depends on. Mental health services must be treated with the seriousness that they deserve. The Labour Party built the NHS. Only the Labour Party gives the NHS the funding and respect it deserves. It is time the government got a grip, so that people can truly get a comprehensive health and care service, from cradle to grave. During the industrial revolution, Manchester and East Lancashire clothed the world with its cotton, bringing great wealth and opportunity. As the mills shut down, successive governments did not always do everything they could to replace the lost jobs with meaningful work. But there are great opportunities in Lancashire, and we have incredible Labour Councils doing their best to regenerate our town centres. Accrington and Rawtenstall spring to mind as examples of councils working with tight budgets to bring meaningful investment. As an MP, I would always advocate for power and money to be brought to Lancashire and Manchester in a new settlement, which works for the people in the area, so that small towns and villages are no longer forgotten. We desperately need more spending on our infrastructure. The struggle that the region faced in getting the Todmorden curve link to Manchester re-opened was shocking, when other regions have huge sums spent on road and rail investment. The Tories are now threatening to scrap HS2, a vital link between London and our region. We are losing police officers, we have little control over where new schools are built, and are facing huge spending pressures in the schools that already exist. That is why one of my pledges is to fight for greater devolution across the North West. On 4th May, we will have an elected Mayor, and this must surely be an elected Labour Mayor. 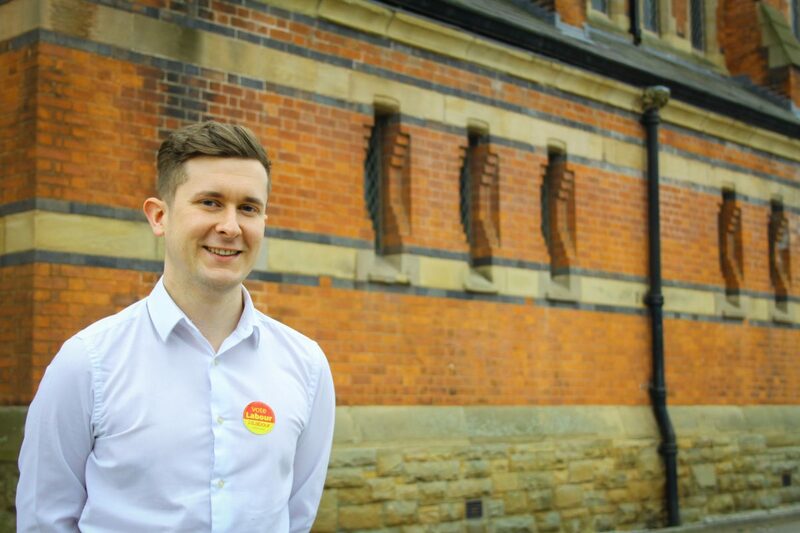 I pledge to work with Andy Burnham if he is elected to fight for a fair deal. We need an end to the cuts to education, a properly funded NHS, a fair transport settlement and more powers for councils to build the housing that we need in our city. It is only by giving communities control over their neighbourhoods and cities that cities can truly prosper and meet the needs of their residents. Tories in Whitehall have allowed London to regulate its bus and other transport systems to meet the needs of a modern, cosmopolitan city. Why should we not also have regulated busses, with a fairer fare system, across the region? We understand our local economy better than bureaucrats in Whitehall, and spreading the opportunities growth brings is foremost on the minds of our communities. We deserve devolution that goes beyond any current model – and we should be handed powers over job centres, work finding and benefits. Working regionally with trades unions and employers we can boost employment, make hard work pay well and stop the race to the bottom on terms. Again and again, Conservatives in government have taken power and money from the North of England and moved it to the Conservative voting Home Counties. Of course London will always be the nation’s capital and most important city, but this is no reason to ignore what we have to offer. In fact, over centralisation puts a massive strain on London’s infrastructure, public services, housing – and the cost of living for ordinary working people in the capital.